….and depending on how many toppings you make – it’s fun to entertain with too because your guests can experiment with flavours themselves as well. I know what you’re thinking, the shells are not crispy! How can you call this a crispy taco? That’s because this taco has the best of both worlds. It has the soft corn tortilla with the crispy bits on the inside chopped with the chicken. 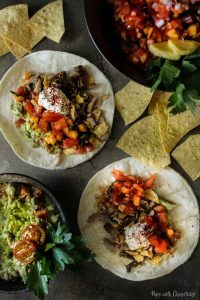 Personally, I find the soft tacos easier to stuff with delicious toppings and easier to eat but I love the crispiness of the crispy tacos as well so I just smushed it into one recipe. 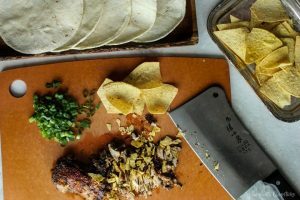 For these chicken tacos, all ingredients should be available at your local grocery store, although lemongrass might be a trickier item to find. You can usually find it in an specialty grocery store or Asian grocery store. 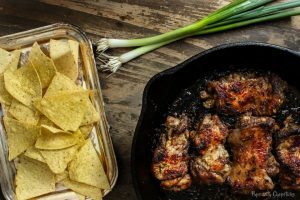 For simplicity and an easier recipe with less mess, you can buy deboned chicken as well. Adjust the cooking time if you are cooking the chicken with the bone-in. 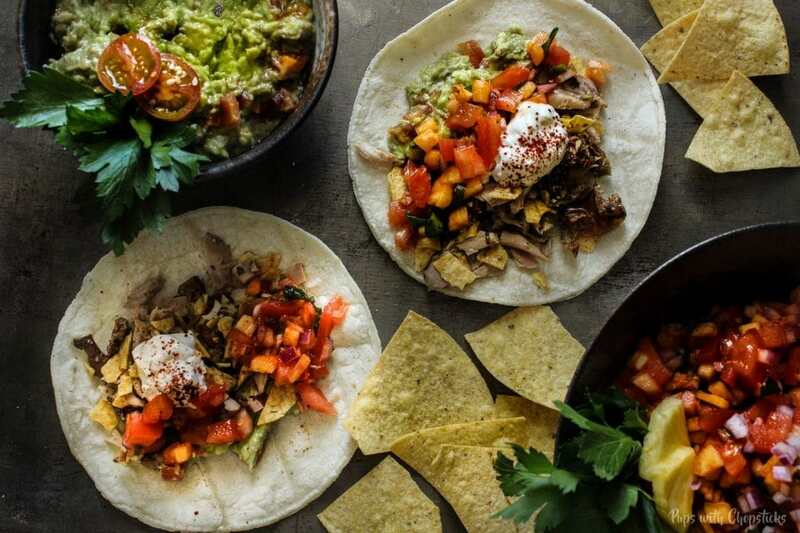 For tortillas, we found that corn tortilla was the most flavourful and was best when lightly toasted on the stove, however you can go with your favourite brand or type of tortillas and it will be just as good. This one is a simple recipe. Huzzah for simplicity with flavour! Chop the garlic and lemongrass (use the bottom of the stalk only). Finely chop the green onions and set it aside for the end. TOPPINGS TOPPINGS & MORE TOPPINGS! Let’s be honest, one of the best part of tacos are the fun toppings. Switch it up and you got yourself different flavours every bite! Cheeses! Lots of different cheeses! We found feta amazing on chicken tacos! If you want to go the traditional route you can also look for cojita cheese, which is similar to feta so if you can’t find it you can easily substitute it. Sour cream. You cannot forget this lovely stuff. Guacamole! Try our ‘Toasted Sesame Guacamole‘ recipe out or use the quick and dirty version listed there too! Freshly squeezed lime juice. 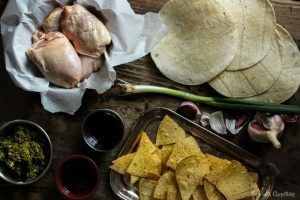 It’s a simple ingredient that will do magic to your chicken tacos. These sound perfect for Taco Tuesday! I love any kind of tacos and I love lemongrass too, but I have never had them together. A great idea for our next taco night. 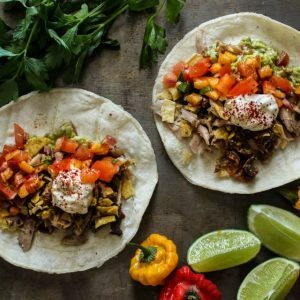 These tacos look and sound delish! Lemongrass is one of my favorite ingredients and I’m always looking for new ways to work it into recipes. Thanks! Lemongrass is such a delicious flavor! These chicken tacos look so amazing! Lemongrass is such a wonderful ingredient to cook with. Such fantastic flavor! Seriously. Your photos always blow me away- they’re incredible! 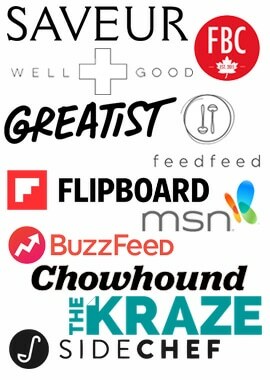 And your recipes always make me beyond hungry! This is definitely something I’m making in the near future! Yum! Aw thanks Haley! Half the time I can never decide haha so why not just do both right? I can literally eat tacos every week. Taco Tuesday was a big thing for me back in the day! Your recipe for lemongrass chicken sounds delicious. Adding crispy tortillas bit for that crunch on a soft taco is such a great idea; now I get to have both! Thanks Joyce! 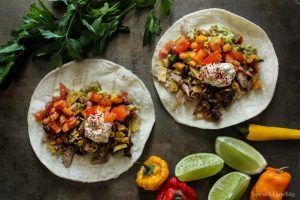 I usually make soft tacos because they’re easier to eat, so I love the fact that you’ve added some crunch to this recipe. Perfect! Can’t wait to try this interesting combination of flavors!